Cannabis use is on the rise and it is everywhere, especially among adults who may or may not have chosen a career in education. Do you know if your children are being well cared for in school? How can you be sure? Is the teacher you just met less than a month ago really qualified to oversee one of the most fundamentally important years in the history of your most precious commodity? How do you know if your teacher is one of the millions of Americans who have chosen cannabis to medicate or recreate in their private spare time? Because Splimm thinks about the children, we spent years deep undercover in some of the countries most prestigious private schools, and were shocked to discover that cannabis use is as rampant among educators as the rest of the population. If your kid’s teacher has been lazily coasting on the same curriculum for 20 years, you can assume they are not using cannabis. But because we care so much, about more than just clickbait, we’re here to help you spot what to look out for when trying to decide who’s using cannabis and who isn’t, because the safety of our children is paramount, and these people are everywhere. This is the first way to gain insight into a teachers consumption habits. An educator dealing with a caffeine dependency may show signs of dizziness, irritability, and dry mouth. Excessive digestion of too much coffee can lead to vomiting, diarrhea, and even hallucinations. However, since there is no scientific evidence that a person can overdose on cannabis, spotting the symptoms may not be as easy. A 2013 study in The American Journal of Medicine found that “marijuana use was associated with lower levels of fasting insulin,” which means that cannabis use could actually lower a user’s risk of developing diabetes or heart disease. But since only the finest private schools divulge staff insulin levels, you’ll have to be a little more cunning in your assessment. If your kid’s teachers appears to have a healthy relationship with sugar, you might want to dig deeper. Ask yourself: Do they seem rational, energized but not irritated, and like they are overall in good health? Are they free from hallucinations? If so, your kid’s teacher may be using pot after school! Most cannabis users wear clothes, and since all schools require teachers to be fully and appropriately dressed if your child’s teacher is a pothead then they will be wearing clothes. But which kind of clothes? Start by looking for things of a higher quality that cost little more. BDS Analytics recently announced that the average household income for cannabis users in California was $20,000 A YEAR MORE than non-users, which means they have more money to contribute to the economy on things like fashion. Does your little one’s new teacher appear to have different outfits to wear to school each day? Do they have the extra money to pay for a haircut or cosmetics? Do they generally exude an air of financial stability? If so, you may want to start thinking creatively about that holiday gift. Does your child’s teacher seem to be a little too informed? Are they keeping up with current events and do they seem to have a deep wealth of knowledge about their subject matter? The same BDS Analytics study found that cannabis users are more likely to have a Master’s Degree, so keep a vigilant eye out for any teacher that seems to care a bit too much about their own education or staying current with the newest discoveries in child development. If your kid’s teacher has been lazily coasting on the same curriculum for 20 years, you can assume they are not using cannabis. Do They Have Their Own Children? Are there pictures of the teacher’s children in the class? Do they seem to have some first hand experience in dealing with kids outside of a classroom? If so, then your kids teacher might love weed. 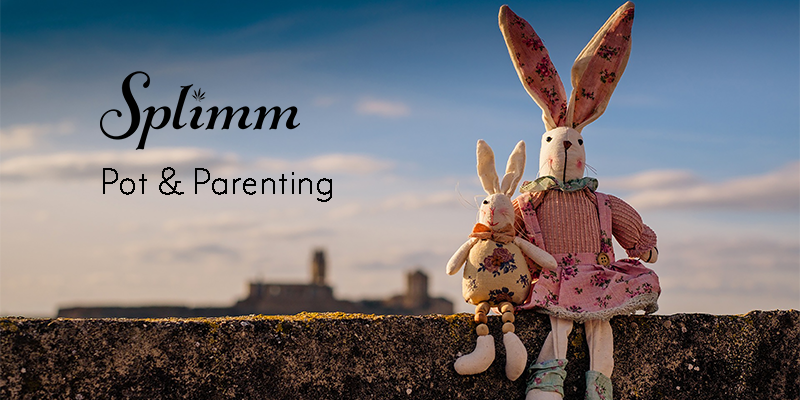 Over half of the respondents to a Marist University and Yahoo News study identified as parents, which means that anyone who has children should be considered extremely suspicious. Are They Invested In The Community? Cannabis users are more likely to volunteer their time than non-users, so if the new math teacher is trying to organize a food and clothing drive for Puerto Rico in her spare time, red flags should be raised. If at the end of the day they go back to their too small apartment to sit alone and only think about themselves, you’re probably not dealing with a cannabis user. Spotting the people who love cannabis is not an easy task. They don’t adhere to a strict dress code or system of beliefs. They could be your lawyer, or doctor, or even your kids teacher. But if you keep your eyes open and always make sure that the people you surround yourself with are unhealthy, stressed about money, uninterested in learning, alone and bitter, you’ll probably never have to actually interact with anyone who uses the stuff. I had a blast reading this article. I was an educator for fourteen years at a few different schools both public and private. I used cannabis the entire time in states where it was not yet legal, and in fact, by the time it was legal, I had stopped teaching. As for your markers, I have pretty much all of them except for the fancy clothes, as fashion never was my thing. I was a productive, successful, award-winning educator. So, cannabis did not negatively impact my work. In fact, if not for cannabis, I would not have survived the demands of working 60+ hours a week as an English teacher. Thanks for my career, cannabis!